50% Off Select Children's Books! Books Start At $3.49! 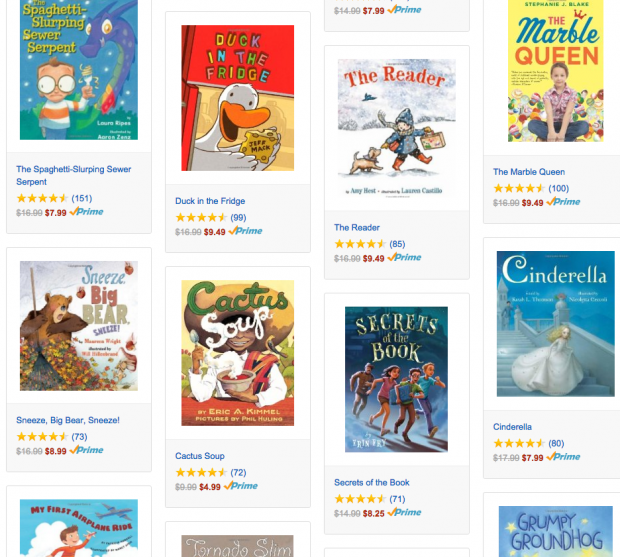 You are here: Home / Great Deals / Amazon Deals / Up to 50% Off Select Children’s Books! Books Start At $3.49! Up to 50% Off Select Children’s Books! Books Start At $3.49! Head to Amazon to get Up to 50% Off Select Children’s Books! Books Start At $3.49! Shipping is FREE on orders of $35+ or if you have Prime! Books add so many wonderful ideas and skills to a kid’s life!